The Philippines’ most trusted 24/7 news channel ANC, the ABS-CBN News Channel, and Yahoo! Philippines, the #1 source of online news in the country, join forces to provide a premium news content to online users in the region, and Filipinos across the world . In a first of its kind collaboration in Southeast Asia between two powerful media voices, the partnership is a step towards fulfilling daily habits of online users around news consumption. The partnership enables Yahoo! Philippines, which has a daily average user base of 2.1 million, to build a strong presence on TV. The move makes ANC its top content partner, providing its network with the latest news and information culled directly from the live on air feed of the award-winning news channel. Similarly, ANC will have its own section on the Yahoo! Philippines News. 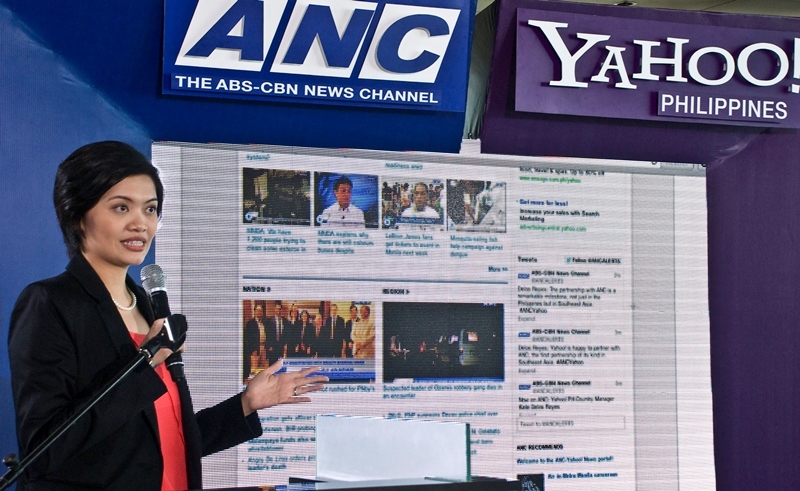 It will serve as the digital hub of the news channel where users can find online articles, photos, and video clips of news reports, features and interviews aired on ANC. ANC has been front and center in television news reporting since its launch in 1996. It solidified its reputation as the gold standard of news channels in the Philippines by being first-in, last-out in the coverage of all major events in history in the past 17 years. It was also the first Philippine news channel to engage netizens through social networking sites. 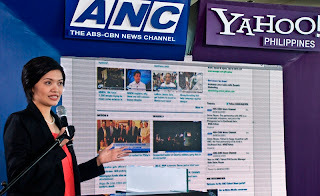 By partnering with Yahoo!, ANC will be able to leverage Yahoo!’s enormous reach and bring the Philippines’s most trusted source of news to the mobile generation of Filipinos. The partnership demonstrates how Yahoo! is building scale, reaching more targeted audiences, and getting innovative with news content. Yahoo! has been on the forefront of online news. It is category leader in many countries, and is a trusted source for millions across the world. It has pioneered many content partnerships, such as with ABC News in the USA. What Yahoo! also brings to the table is a strong personalization technology that allows users to connect with what matters most to them. ANC Yahoo! goes live on Monday, July 22, 2013. The launch will be marked by an intensive joint coverage of President Benigno ‘Noynoy’ Aquino III’s State of the Nation Address (SONA). Yahoo! and ANC will provide exclusive SONA-related content which the users can access through the web and view on cable TV.